The IHSAA Football Sectional gets underway this Friday night and all four Wabash County teams are in action. Northfield and Southwood are Single A classification schools, while Wabash and Manchester are 2A. In last week’s action, Southwood beat Northfield 47-37 in an action packed TRC Championship game, Wabash bested Whitko 28-22 and Manchester beat Maconaquah 25-17. High School football moves to week No.9, the final week of the regular season. And in these parts, it’s the Three Rivers Championship game week. The TRC has 10 teams. There are two divisions. Week No.9 is a cross division matchup that determines the final order of the conference. It is seeded in each division with tie breakers so it becomes clear cut as to what the final week matchups are based on the regular season games. Both the Wabash and Manchester girls soccer teams bowed out in the championship games of their respective sectionals on Saturday. Manchester fell to Blackhawk, 1-0 on Saturday, while Wabash lost to Eastbrook, 3-0. CULVER -- The Wabash boys tennis ended its season Tuesday night, 2-3 against Warsaw in regional play. The Apaches ended with a record of 20-2. Luke Mattern at No.2 singles won 6-2 7-5 finishing his season unbeaten, having not dropped a set all year. Five Wabash County cross country teams advanced to the IHSAA regional round. The Wabash boys team finished second at the Marion Sectional and Southwood was fifth to advance, while Manchester was fifth at the Culver Academies Sectional. Wabash won the boys Three Rivers Conference cross country championship, while Manchester was second. The Apaches won with 40 points, followed by the Squires with 87. Southwood was fifth with 122 points, and Northfield was seventh with 159. For Wabash, Dereck Vogel was second overall in 16:36, Koby Prater was third in 15:46.1, Zack Reed was sixth in 17:13.5, Blakely Stevens was 14th in 18:05.3, and Jacob Bruss was 15th in 18:08.1. The final two weeks of the regular season is all that is left for Wabash County High School football. It continues on Friday night. The Sectional pairings were drawn on Sunday at the IHSAA office. But first, here is a recap of last week’s action. Northfield beat Maconaquah 34-7, Wabash lost to North Miami 41-0, Manchester beat Whitko 34-14 and Southwood beat Peru 55-28. PERU -- The Wabash boys tennis team captured the 2017 sectional title to continue an historic season with a 4-1 win over Peru. The Apaches improved to 20-1 with the two sectional wins and advanced to the Culver Regional by winning the sectional title. 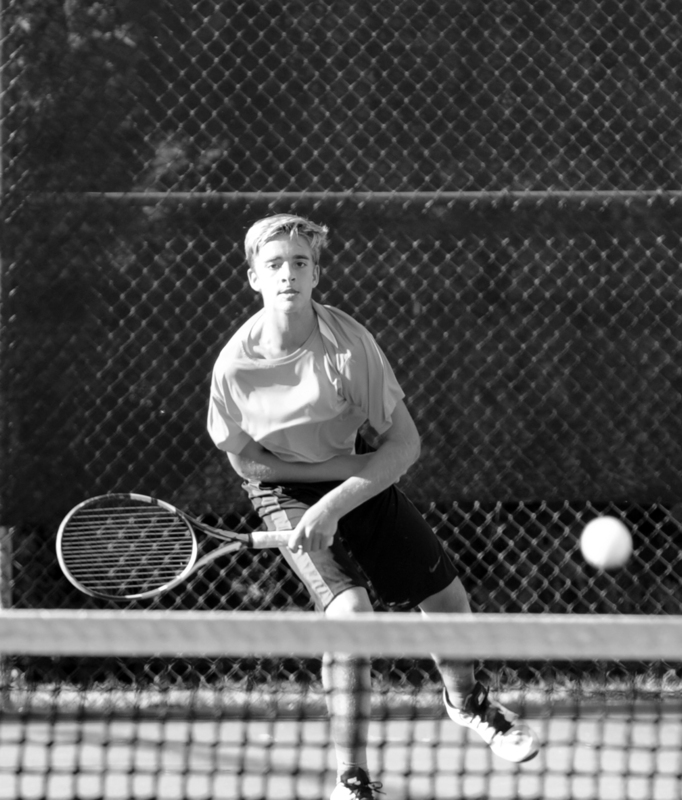 “Going into the match, we felt confident, and we felt that if we could win at 2-doubles, that would really give us confidence moving forward,” Wabash coach Niko Macaluso said.